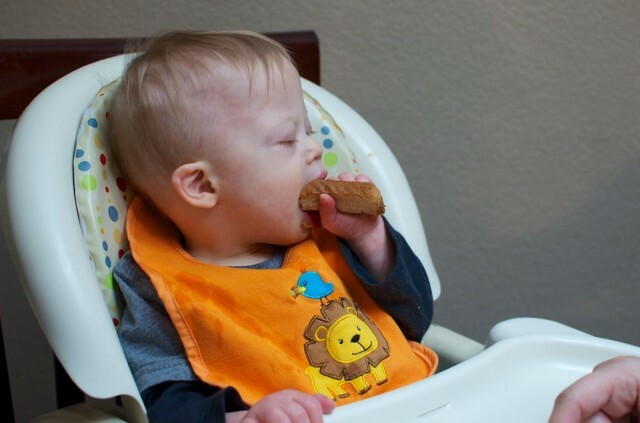 Noah Tries Some Vegemite; The Peanut Butter Of Australia. 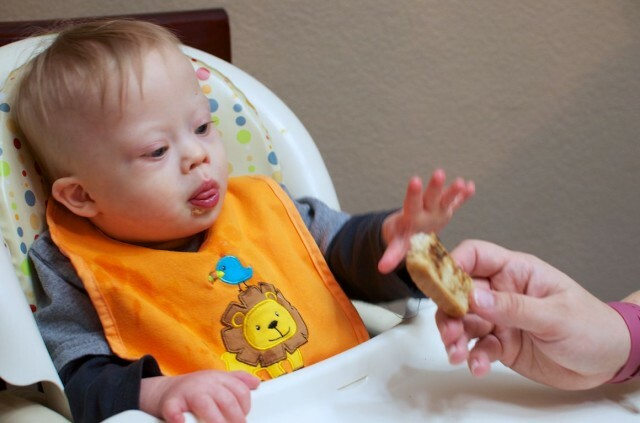 You are here: Home / Family / Noah Tries Some Vegemite; The Peanut Butter Of Australia. Vegemite; A Different Kind Of Peanut Butter. Since I can’t really describe it to you, I thought I’d tell you the ingredients and let your imagination do the rest. I don’t know what kind of peanut butter they eat in Australia, but Vegemite doesn’t taste like any peanut butter I’ve ever had. It’s All In The Method, Or So I’m Told. Place a small amount of butter on the toast. 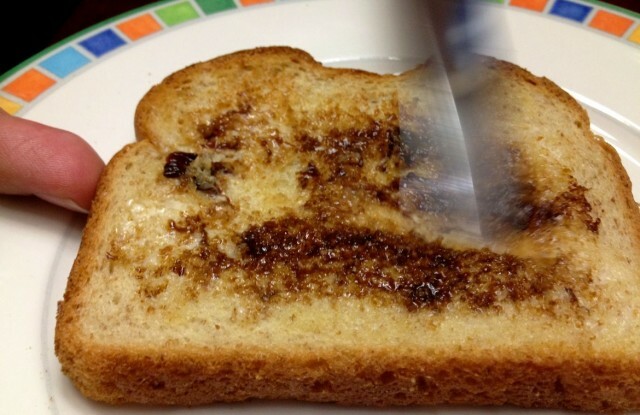 Spread a “small” layer of Vegemite across that warm, buttery, toast. Of course I have no idea what a small layer means. Does small = the size of a pin drop, a teaspoon, a tablespoon, or some special Aussie measurement, Not to mention that a small bowl of rocky rock ice cream to me, is not the same as asmall bowl of rocky road ice cream to most. Regardless, since there was no picture of what was meant by a small layer of Vegemite on the back of the package, we just winged it. Looks like a “small layer” to me. And judging by the look on Noah’s face, I think we did alright. I think he likes it, don’t you? 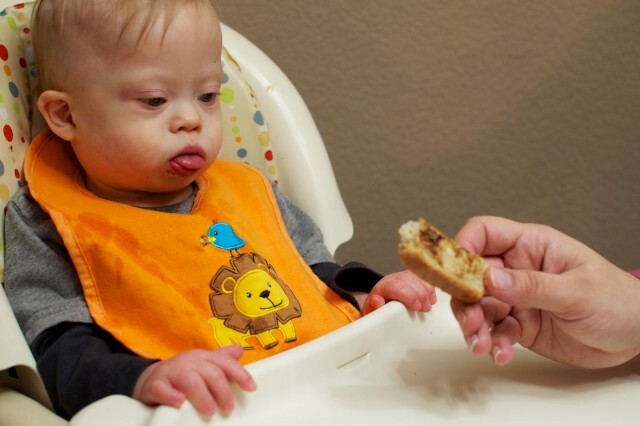 If You Can Eat It, Noah Will Try It! 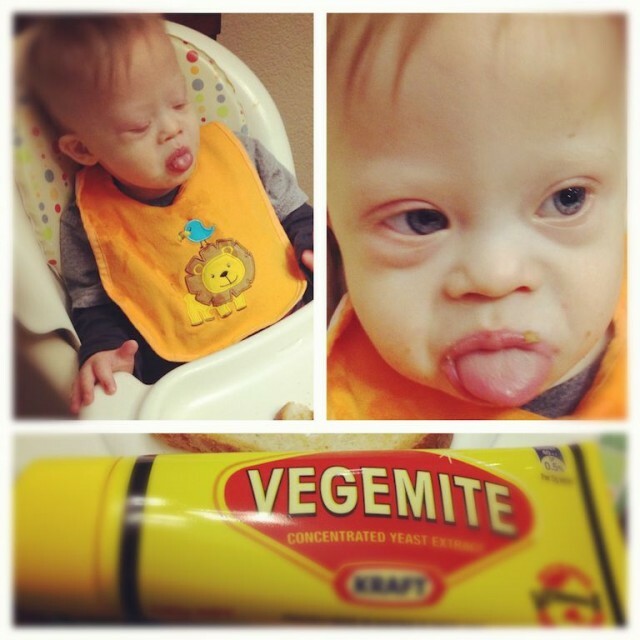 I’m not really surprised Noah slammed his Vegemite toast; there isn’t much this little boy doesn’t like. 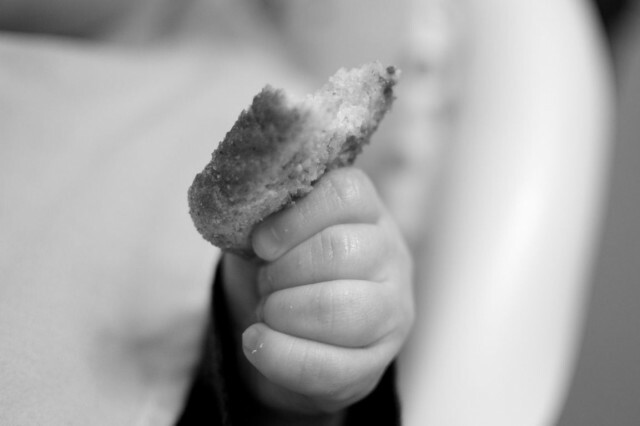 A lot of children don’t like to eat certain textures of food. Not Noah. He’s like our little goat, and will eat anything he get put in his mouth. Well, almost anything. 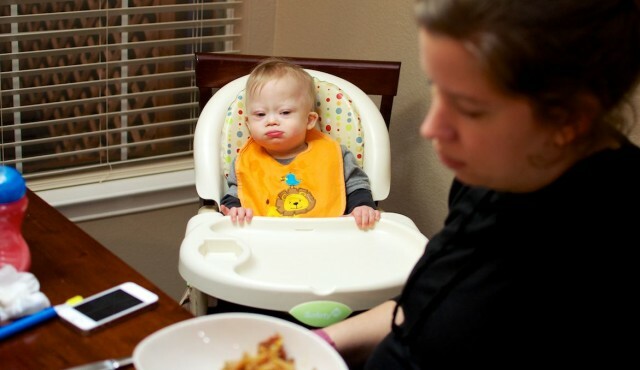 For some strange reason he’s recently started spitting out mashed potatoes of all things. It’s super random. He’s always enjoyed them. 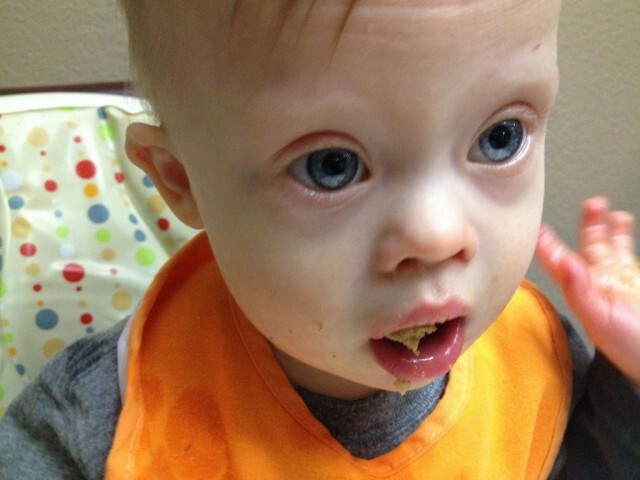 Then one day, out of the blue, he just decided he didn’t want that stuff anywhere near his mouth. Funny, huh? After Noah finished up his Aussie snack I dared my wife to try some. Which she did. Then she dared me to have some. And I did…. Let’s just say my experience wasn’t quite the same as my Noah’s! I hear Vegemite is an acquired taste…but I think I’ll just stick to the Tim Tams. 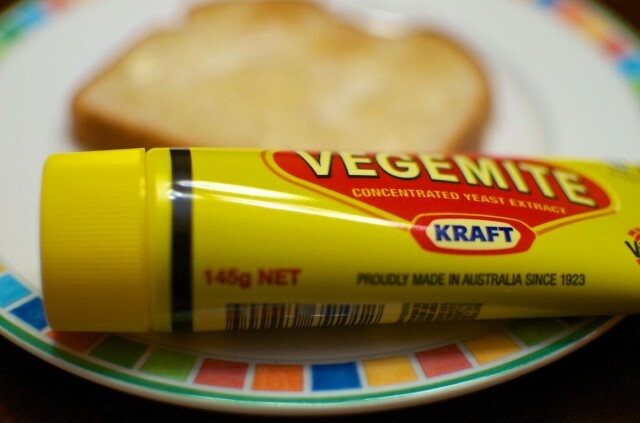 Have you or your children ever had Vegemite? Are you a fan, or not so much? Also are there any kinds of food textures that your kids won’t touch with a ten foot pole? What are some ways you’ve helped them overcome that? Leave a comment below and tell us about it.